Packings: 100, 250, 500ml, 1Ltr and 200Ltr drums. Fiprofit is a highly active, broad-spectrum insecticide from the phenyl pyrazole family. Used at low doses, the active ingredient is highly effective against a broad range of insects and pests, including ants and roaches. Fiprofit acts as an insecticide with contact and stomach action. Fiprofit can be used against major lepidopterous and orthopterous pests on a wide range of field and horticultural crops and against coleopterous larvae insoils. 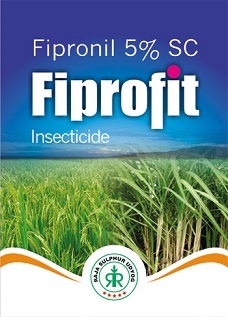 Fiprofit also reported to control termite pests and was shown to be effective in field trials. We offer Fiprofit in bulk as well as small packs.